Yes! Yes! You’re so excited. Then you start. Maybe you put off that day for a while because it’s almost New Years/ your birthday was coming up/ you had travel plans/ it was Mercury retrograde but dammit, today is the day. You start your new habit. The first few days you are still riding that wave of your body’s natural happy hormones so this period of time is usually exhilarating. The difficulty comes a few days or weeks later when the happy hormones retreat and the brain is no longer loopy on them. At that point you are left with nothing but your raw willpower and there are a few challenges to operating from this place. Willpower resides in the conscious mind, the thinking part of our brain that we are aware of. The fact is that our unconscious mind, the more primitive parts of our brain that do not respond to the commands of our thoughts, is much more powerful. This primitive part of your brain seeks only to protect you and the fact is that it resists change. It doesn’t understand that vegetables are healthier or that yoga is good for you or your burning desire to write a novel. It only knows that changes to your life and environment usually mean danger to your physical body. That is why as soon as those happy hormones disappear, your new habit starts to feel like a bit of a drag. You might start skipping or cheating a little bit. Eventually you might slip exactly into your old habits again. The exact timeline will vary on how stubborn you are as an individual and some are truly stubborn enough to get through this period of panic as the subconscious mind slowly realizes that everything is fine. However, the fact is that these people are a minority. The good news is that no matter what your natural amount of stubbornness is, there are ways to speak to your subconscious mind and it is ALWAYS easier to bring this part of your mind on board to help than to stubborn your way through the process of change. Full disclosure; I am a recovering Queen of Procrastination and Early Abandoner of Good Habits. If I can fix this problem, so can you. Here are some of my favorite tips and tricks that I’ve used to make better habits and a more satisfying life. Realize that your past failures have simply been due to the fact that you didn’t know what was actually going on in your brain. Just this change is perspective alone can be life changing. Recognize that post euphoria phase for what it is; growing pains. Your cells are renewing under the influence of these new habits while at the same time your primitive brain and nervous system are screaming in panic. When you get that feeling of your new habit feeling like walking through water, say to yourself “this is a physiological response to my new habit. I embrace it as proof that I am changing. This will pass soon”. Reframing your thoughts is so simple and so effective. Visit this page for a list of methods I’ve compiled to help you speak to your primitive brain in a way that it understands. These are often deceptively simple but repeating them will aid your nervous system in the process of realizing that this change you’re making is safe. Focus on adding positive rather than banning things from your life. If you have kids you understand that forbidding something is usually the fastest way to make sure they want it even more. Your subconscious mind is childlike and operates similarly! Here’s an example: instead of saying “ I will never eat French fries again” try “I’m going to find ways to add healthier foods into my diet”. Find ways to add the thing you want in positive ways. Learn to cook vegetables better. Find exercises that are fun ways to move your body. Again, reframing is powerful. 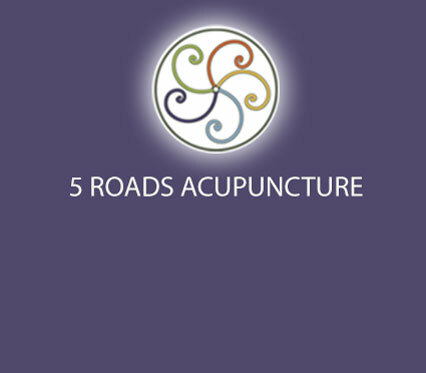 Try five element acupuncture! I am uniquely trained in techniques that bridge the mind/ body gap so that your subconscious mind can feel safe in a way that’s far more powerful than doing the work completely on your own. Give it a try! Most people aren’t aware that this type of work can be done with acupuncture. If you’re not ready for needles yet, at least grab the free meditation below. Stress is destroying your looks! Stress isn’t just ruining your sleep. And your relationships. And your moods. It’s also destroying your skin. Our bodies contain ancient programming that injects our system with hormones that at one point in humanity’s long history helped us make quick decisions under pressure. Sometimes this pressure was life threatening; you would either be running after something to eat or running from something trying to eat you. These stress hormones helped make humans successful. Today, however, your body makes this cocktail of hormones in response to your being stuck in traffic, your approaching deadline, or your unjust parking ticket. The body simply knows no difference between that and running from an ancient predator. Thus, many of us exist in a state of panic nearly all the time with life becoming more complicated and demanding all the time. Now that you know it’s a problem, what should we do? Continue to eat as well as possible. If you find it hard, here’s my article about a kinder, easier way to change habits (less willpower required). Nutrition is and always will be the best tool you have every day to make your body optimal. Support your liver because it helps to process old hormones. By the way, I have some opinions about the “liver cleansing” that has become a buzzword lately. Read more here. Do everything you can to sleep eight-ish hours per night. Your exact needs will differ. Getting less sleep than you need is a sure way to flood your body with harmful stress hormones. Read here about my guide to your best sleep ever. Wear sunscreen! When skin cells are exposed to UV light it triggers a flood of cortisol. 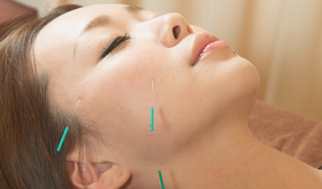 Last but not least, get cosmetic acupuncture! Are you ready to look your best with no side effects or unnatural looking results at less cost than other popular treatments? Book here! 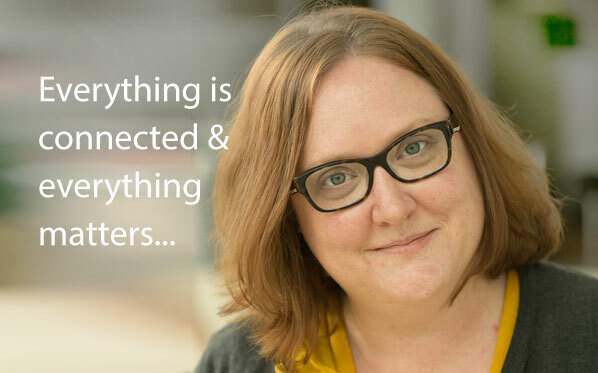 Here’s a nerdy article with lots of big science words I used to help write this blog. If this sort of thing makes you excited you can read it here. You’ve seen those people at the gym who run for hours per week. Their legs and feet are pounding against the hard surface and it’s consuming a lot of their time. And the benefits? Hurt knees and feet, a ravenous appetite that counteracts any benefit they might be getting, and a metabolism that slows down and results in less and less benefit over time. Why is this? Because your body desperately wants to be the same weight all the time. The truth is, the stress hormones and nutritional deprivation common in most people today makes your body think that there is a famine going on. Our modern lives of excess food are so new that our biology really hasn’t changed from the times that we used to struggle to get enough to eat. Then you go and run on the treadmill for 90 minutes to burn a bunch of calories and your body will clamp down even harder on those precious fat stores, lowering your metabolism and giving you cravings for those foods you should most avoid. 3-5 minutes of light walking. 30 seconds of running as fast as you can. Literally. Pretend something is chasing you and you are running for your life and by the end of the 30 seconds you should feel like you’re about to collapse. Walk at a light, comfortable pace for 90 seconds. Repeat this pattern of 30 seconds high intensity and 90 seconds of easy walking ten times. Finish with three minutes of light walking as a cool down. And there you go! Finish your workout with some stretching, and maybe a nice, juicy corpse pose or a soft guided meditation. Your workout is done in under thirty minutes and you are reaping the metabolic benefits for up to 48 hours. You have also dissolved stress hormones and made your cells more receptive to insulin, which will help your blood sugar levels and help keep your cravings under control. As with any exercise program, it is imperative to check with your physician before beginning any diet or exercise program.